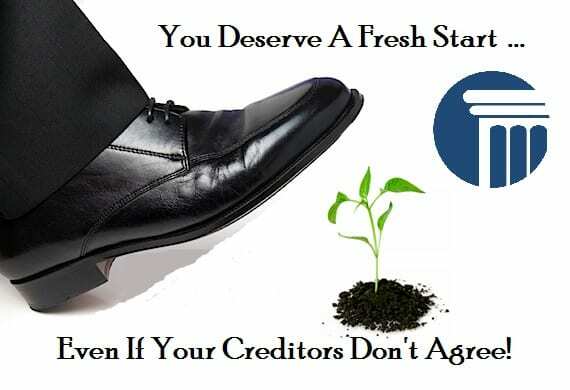 Many bankruptcy debtors are having their bankruptcy “fresh start” destroyed by continued negative credit reporting after the bankruptcy discharge. According to the New York Times, the U.S. Department of Justice, Trustee Program, has launched an investigation of illegal credit reporting after debtors received a discharge. Some of the largest financial institutions in the U.S. including Bank of America, JP Morgan Chase, Citigroup, and GE Capital Retail Finance are among the accused violators. Tens of thousands of Americans who thought bankruptcy would be the path toward a new financial future have been emerging from bankruptcy only to find they are faced with continued post-bankruptcy negative reporting. In my career I have talked to thousands of unrepresented debtors (pro se filer) who have contacted Merna Law after their bankruptcy discharge to fight continued post-bankruptcy credit reporting. Based on this experience I believe bankruptcy filers who do not use an attorney are more vulnerable to continued negative credit reporting. This could either be the result of poor petition preparation, an awareness by creditors that pro se filers are less likely to make an issue of such violations, or, as the Department of Justice seems to believe, a conspiracy to circumvent bankruptcy protection. Violations of your bankruptcy discharge can occur even if you are represented by an attorney, however, I believe it is less likely and much easier to fix. WHAT CA– USES THE CONTINUED NEGATIVE REPORTING AFTER BANKRUPTCY? You already know the most heinous of the answers to this question: an intentional illegal strategy on the part of some companies to continue to coerce debtors to pay. Having an attorney reduces the likelihood of being vulnerable to such illegal activity for several reasons; 1) creditors know you are represented and do not want to take a chance on getting caught; 2) how you complete the paperwork is crucial to getting a fresh start; 3) understanding what to do to recover, which is why Merna Law has developed its own proprietary credit recovery program. Whether people like to believe it or not, bankruptcy is not just filling out paper and getting a discharge. This investigation proves what I have been telling people considering filing their own bankruptcy for years, you can get a discharge by filling in the blanks but getting a fresh start is more complicated. The first thing you can do is use a reputable attorney experienced in bankruptcy law. This may sound self-serving but there is a difference. The difference is thoroughness. Proper inclusion of all possible parties to a debt is protection in itself. Uninformed debtors and sloppy attorneys may only list the collection agency. This is useless because the debt may have been sold to a third party. They may also, with good intention, only listed the original creditor. This is useless if the debt is old and it has been sold to a third party. It is absolutely imperative you list not just the original creditor but also a collection agency(s) or their attorney(s) who have attempted to collect on the debt. Second, your attorney needs to pull a credit report to include all the parties reporting to it. This is the most effective way of halting the credit reporting quickly. You can also send a copy of your bankruptcy discharge and your list of included debt to each of the three credit bureaus to have them update your report instead of relying on the creditors to do it. Third, you need to participate in reliable credit recovery program, which will instruct you on monitoring your post-bankruptcy credit report and score. This is the most effective way to insure your credit is not hijacked by unscrupulous and illegal post-bankruptcy credit reporting. In the course of any week, I get several calls from clients that used an attorney because they were cheap, used a petition preparer because they were cheaper, or filed the case without any assistance because it was the cheapest way to go. Unfortunately, going cheap can cost a lot more than you think you saved. As the Justice Department’s investigation implies, it can cost you your fresh start or attorney fees in excess of what you thought you were saving. Just filing alone may silence the phone calls but the continued negative reporting could eliminate future possibilities of a home loan, renting a home, a decent interest rate on a vehicle, and even being denied a job. There is more to getting a fresh start then filing out forms. Be smart. If you haven’t filed, use an experience bankruptcy attorney. If you have filed, pull your credit report to assure there is no negative reporting. If you have filed with us, sign up for our credit recovery program by emailing me at jmerna@mernalaw.com.